Hey all, thought I'd go a little different today and put up a quick post about Space Marine from THQ on the '360. I'd best describe myself as a casual gamer and this one is bang on my level. The campaign was good fun; long enough to offer a challenge, but didn't drag; tough enough to offer some tricky spots, but not so much so that it stopped being fun. There were a couple of switcheroos in the storyline which were entertaining, so all in all, I thought it was well worth the money. The real (unexpected) treat here is the online gameplay. Having played through Halo, Gears and some of the others in the genre, I've been largely put off playing online as games tend to be unbalanced in a hurry, if you play against more serious players who session the games and unlock all the cool stuff. With this you're on a much more even footing; if you get popped, you can copy the guys weapon fit for a life, regardless of whether you've unlocked the guns and perks for yourself yet. The customizer allows you to pimp up your character using components from around a dozen different variations of power armour (and the same again for Chaos) which can be custom coloured. 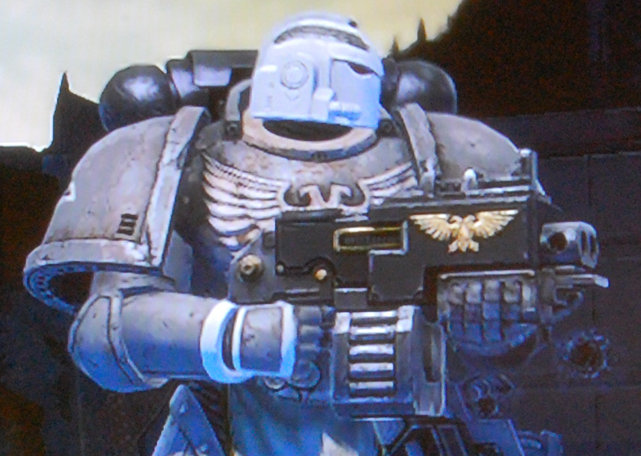 Alternatively, you can get alternate chapter specific skins with unique elements from the game marketplace for a small outlay of MS points.The tactical marine is getting more and more useful as I'm advancing through the levels. The ability to carry two decent guns plus the Bolt Pistol as well as the increased movement you get from travelling light is really useful. 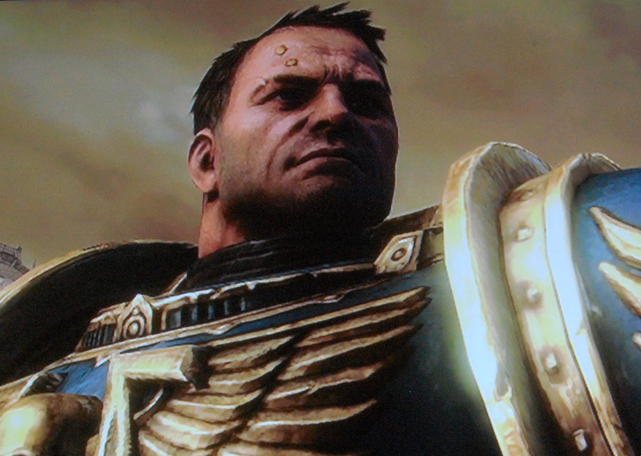 The Storm Bolter in the picture is absolutely awesome, particularly in Exterminatus mode against waves of Orks. My guy is currently up to level 26 and should advance to level 27 during the next game (unless it's a total blowout). 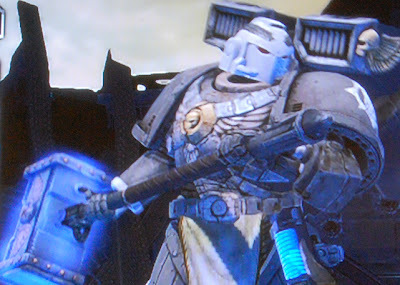 I've just switched my preferred assault setup from the Thunder Hammer and Plasma Pistol from the pic above to the relic chainsword and bolter, as I've unlocked the true grit perk and the chainsword is a bit quicker to wield. It's also worth taking the final vengeance perk in the secondary slot, so if you get nailed, the jump pack blows up and often injures or kills the attacker if they were in close quarters. All in all a load of fun and would really recommend to everyone. Big shout out too, to el Tod, RinoMuffins, HiPrime8, EvilWeeble, DaveyDee, Beast Unleashed, Ray Gun Reno and all the other guys online.